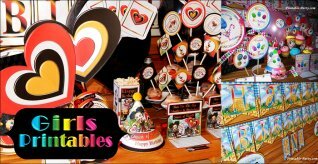 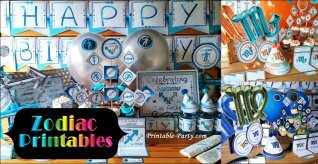 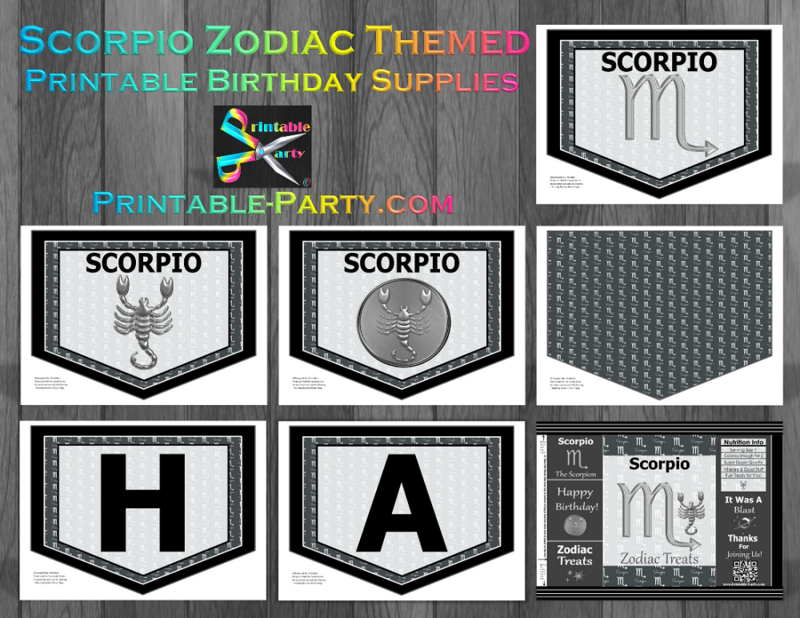 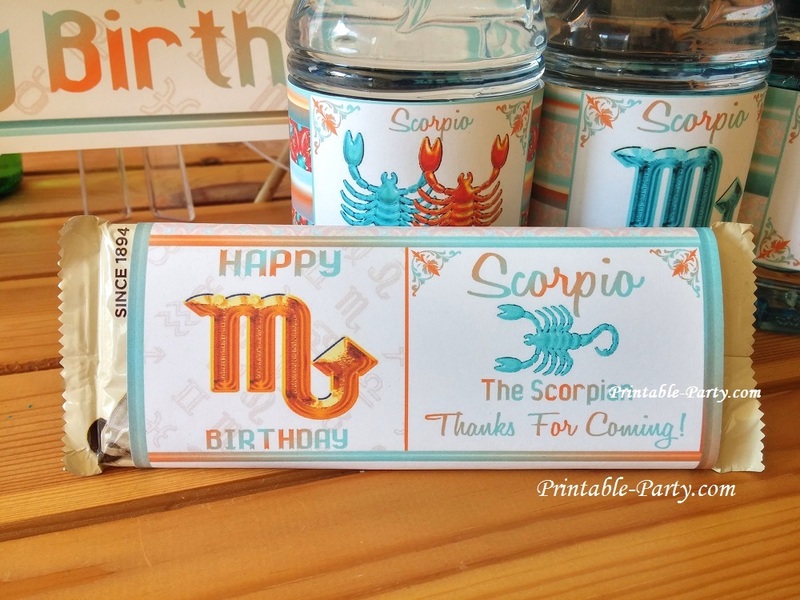 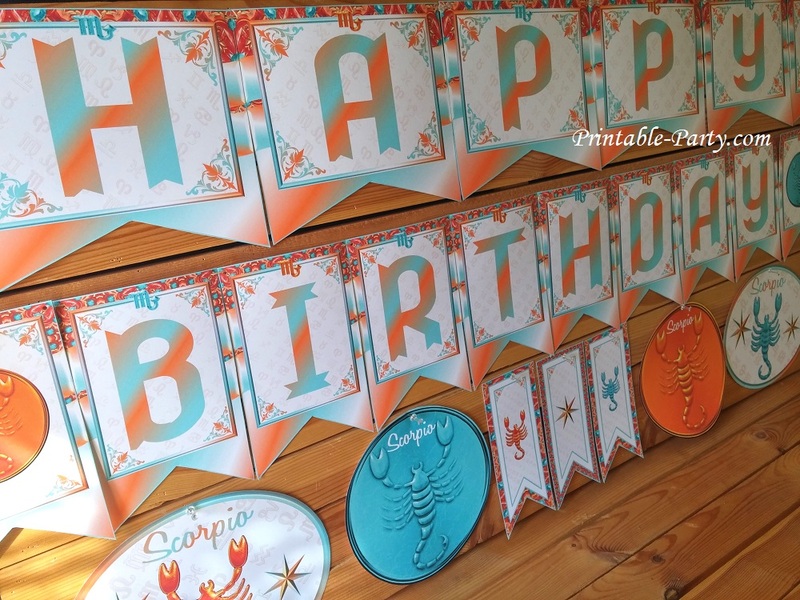 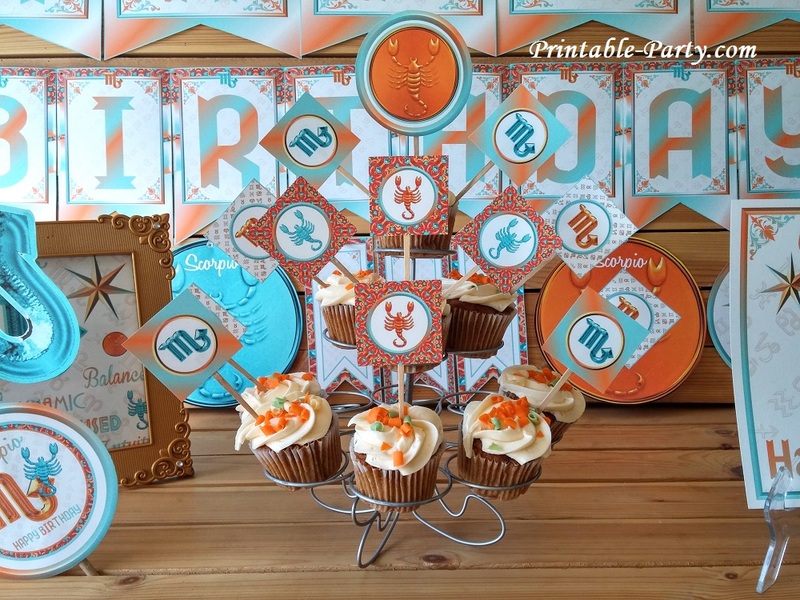 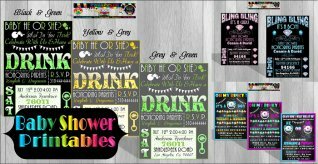 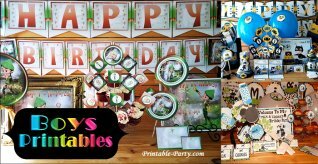 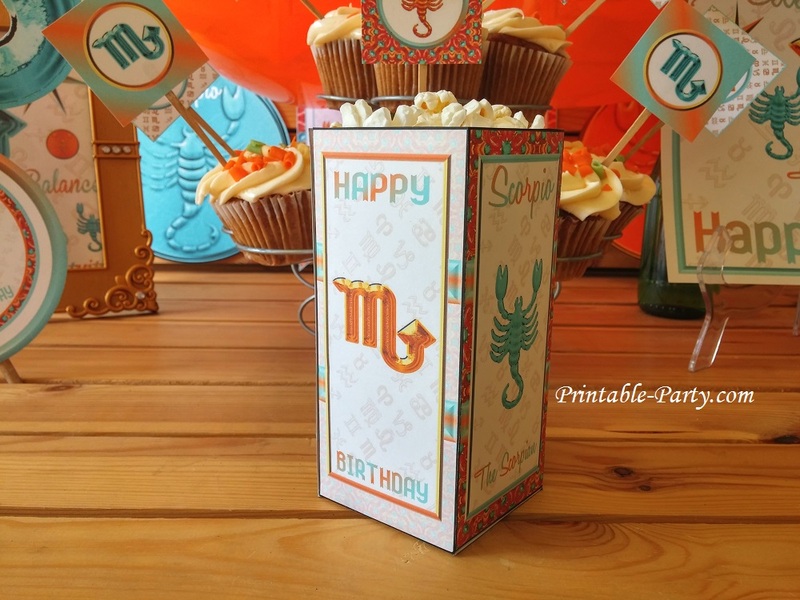 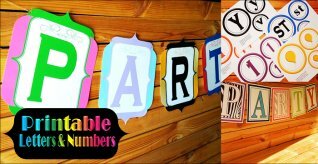 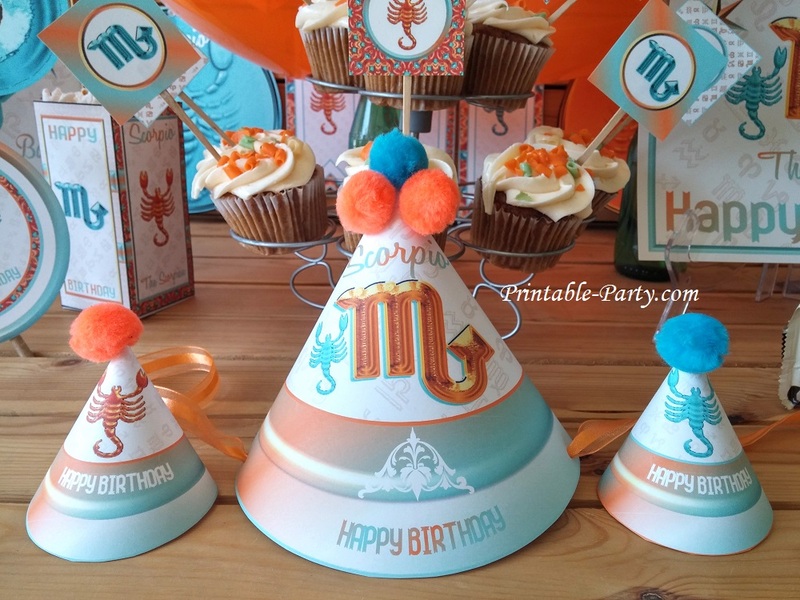 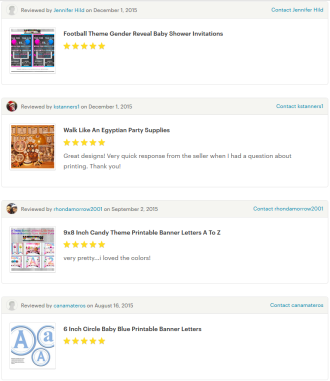 Printable Scorpio zodiac party supplies for you to create a stylish birthday celebration using your astrology sign. 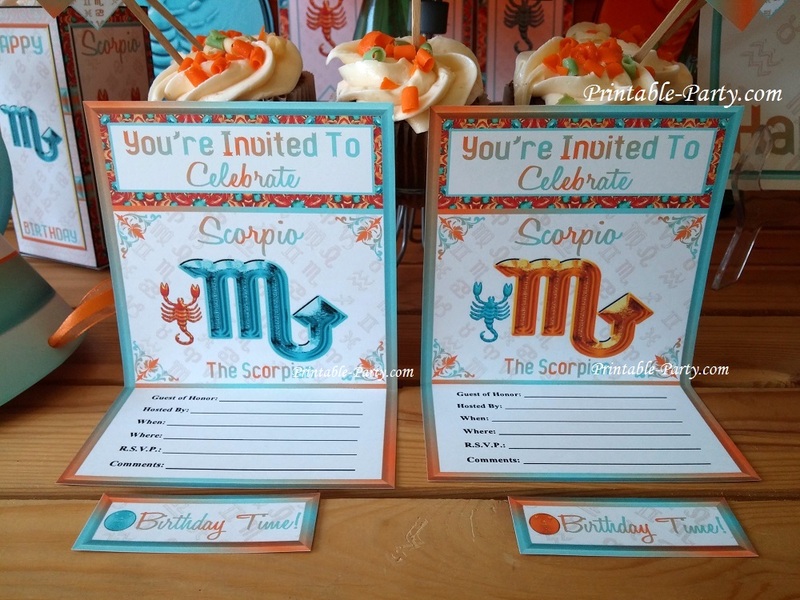 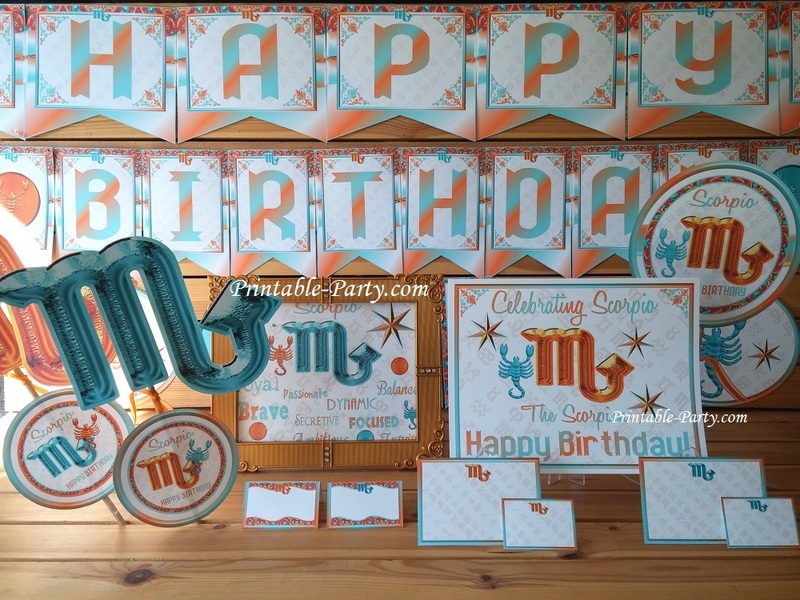 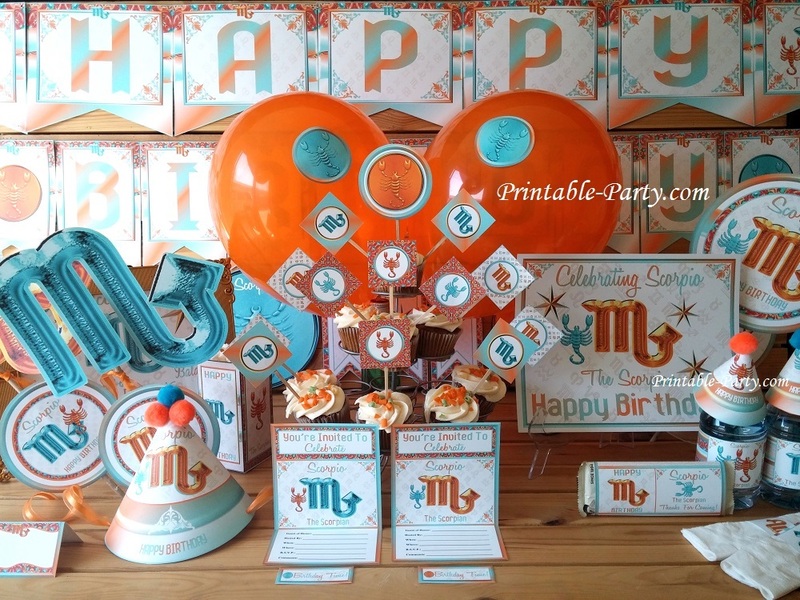 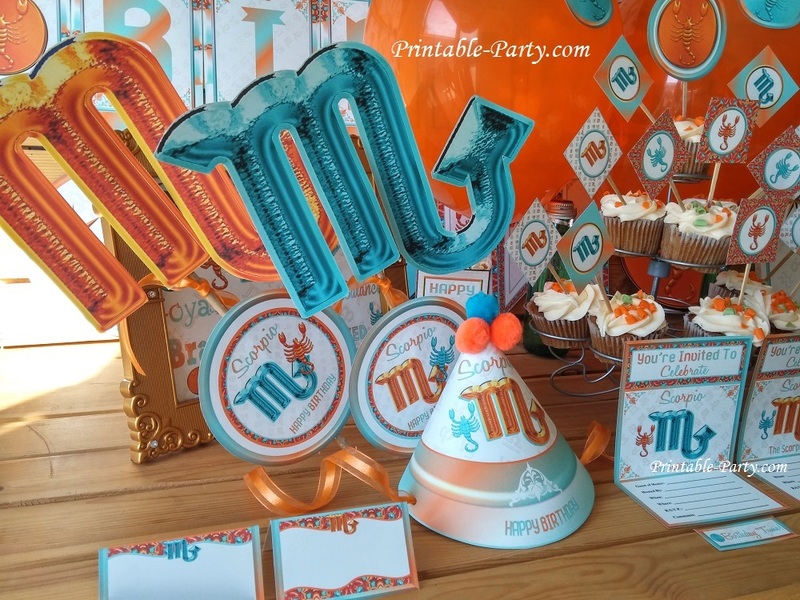 This scorpion party theme is blended with bright colors of the Scorpio birthstone citrine orange, teal, & white. 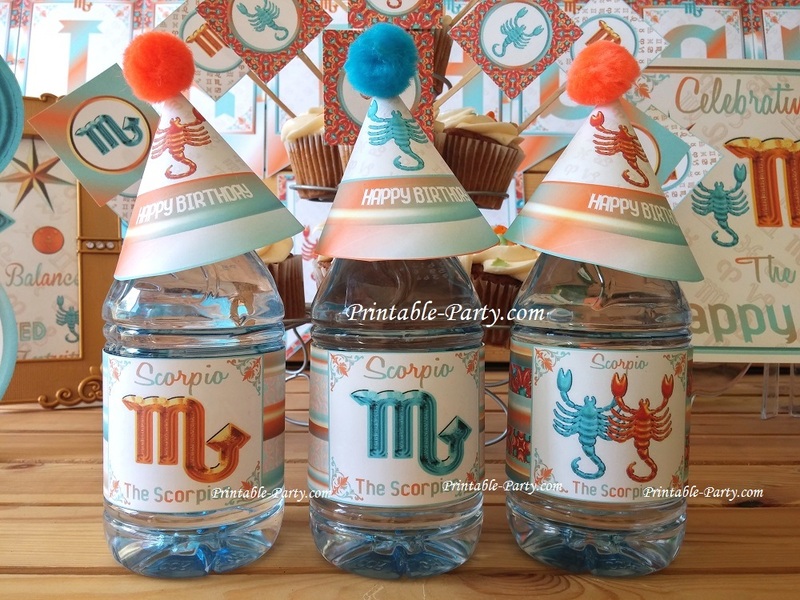 You will see awesome images of the Scorpio astrology sign symbols & scorpions all throughout this party theme.